I'm so glad to see facial products for men now. Women aren't the only ones with aging skin. I do believe more men will be apt to use skin products that are labeled for "men" than other products that are just labled for neither men or women. 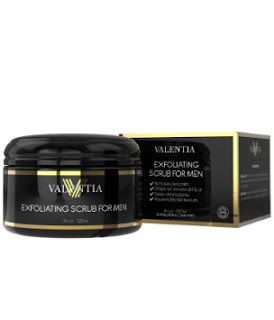 This face scrub is by Valentia so you know it will be good. I've tried several of their products and have never been disappointed. Valentia Exfoliating Scrub for Men is a really great product. It reduces ingrown hairs and minimizes pores, not to mention clears away old dead skin cells leaving a man's skin looking and feeling fresh. The natural oils it contains, safflower, coconut and almond oils, deep clean your skin, unclog pores and moisturizes dry irritated skin. See men, exfoliating isn't just for women anymore. The next product I have to share with you in the DanceCrazy Deep Tissue Trigger Point Massage Roller. I have tried many different massagers, I have a lot of trouble with muscle knots around my shoulder blades. They are so painful and get to where it's hard to move my arms in certain positions and it makes my neck hurt, causing headaches. I had my daughter use this massage roller on me and let me tell you it feels amazing! She said that the "handle" fits well in her hand and it didn't make her hand tired using it like giving a normal massage would. 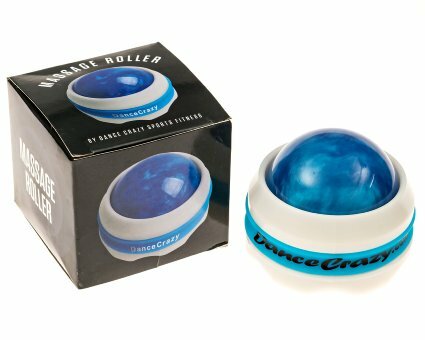 The roller ball itself turns effortlessly inside the handle and rolls smoothly over your skin. You can apply as much pressure as needed to relieve the knots and I have to say that the knots have never loosened so quickly and I was left feeling so relaxed. The size and shape of this massage roller makes it easy to access wherever you need it to. The next time I get those painful muscle knots I'm armed with my massage roller. Great product!